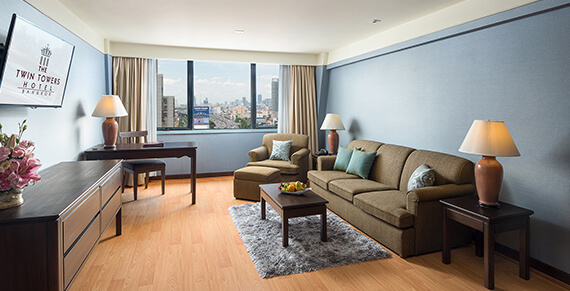 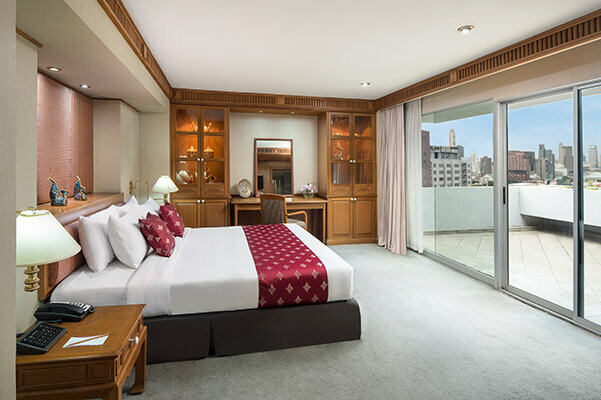 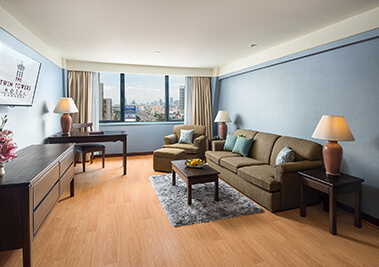 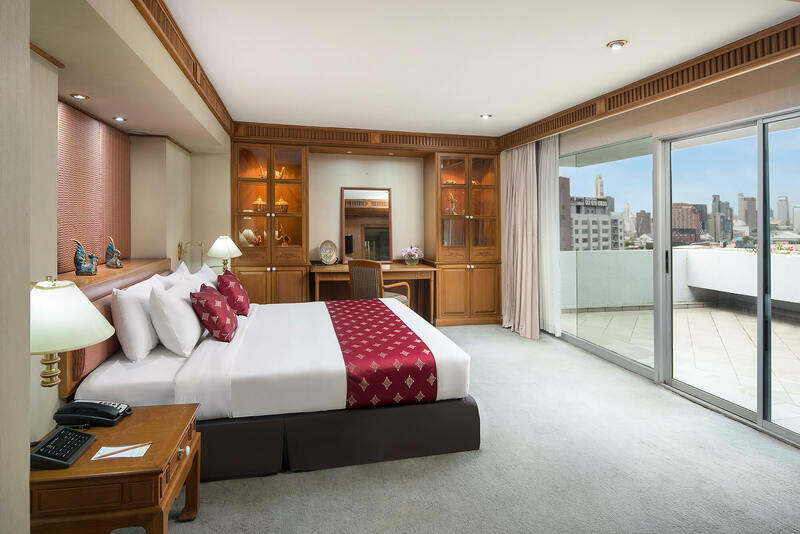 The presidential suite of The Twin Towers Hotel Bangkok is the place to be. 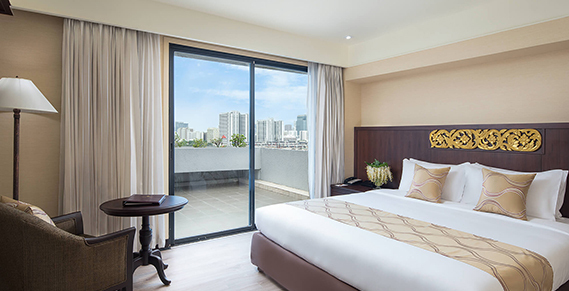 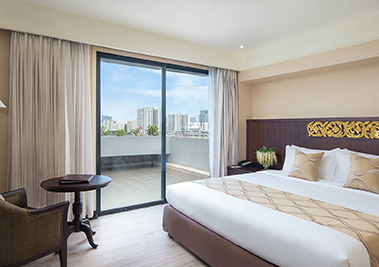 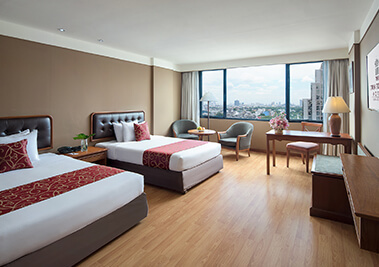 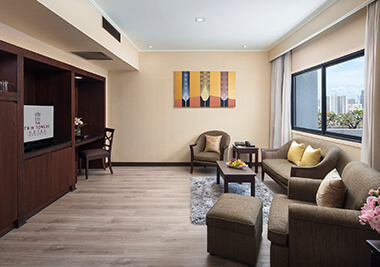 A place specially designed to offer the maximum rest to any type of guest, to both those who travel to Thailand for business and those who visit the city for leisure. 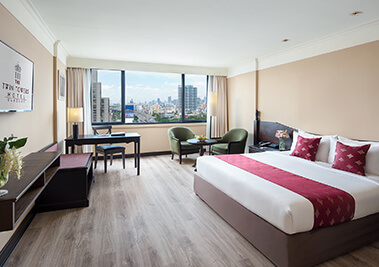 They are modern rooms full of inspiration, tradition, sensuality and good taste perfect for enjoying a trip to the centre of Bangkok. 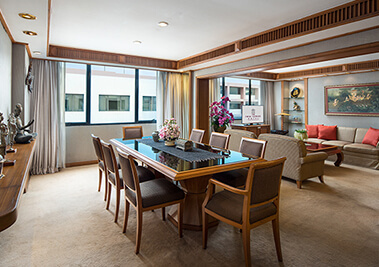 All the presidential suites of our hotel in the centre of the city are located on the 16th floor and feature the best views of the city. 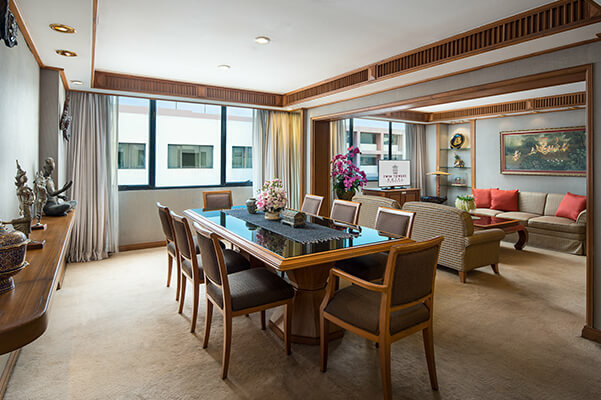 Their 105 square metres of space feature a living area and a fully-equipped dining room for relaxing and celebrating meetings for up to 10 guests, toilet, main en suite fully-equipped bathroom with Jacuzzi, sauna and amenities, bedroom with extra-large beds, private balcony and direct views to the city... 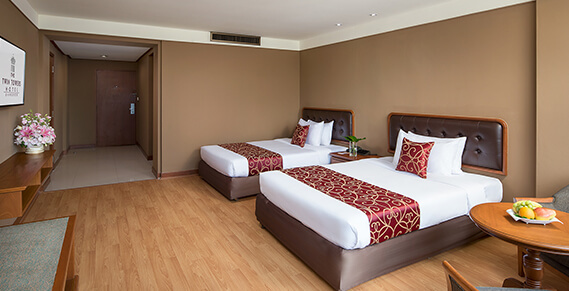 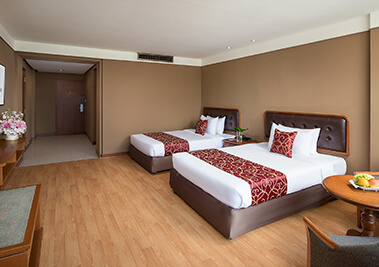 Besides, these rooms are connected to a second twin room perfect for those who travel with children and want to keep their intimacy and enjoy calmness next to their beloved ones.